Packing for adventure travel? Reach for the handsome 100% woven merino Departure—its lightweight, airy feel and sophisticated details make it the ideal choice for stylish traveling in hot weather. 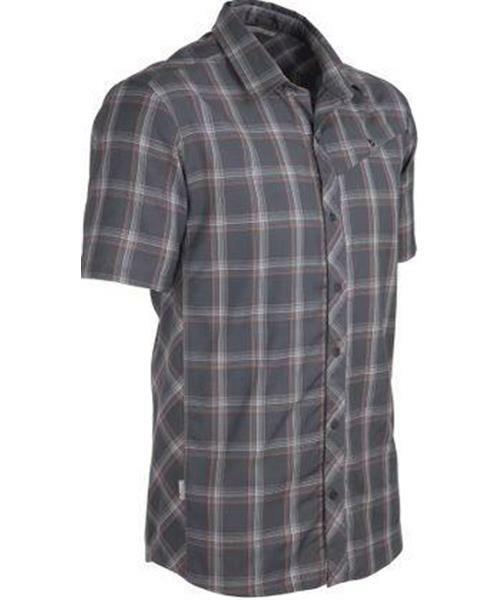 Departure SS Shirt Plaid - 150 Ultralite - Mens is rated 5.0 out of 5 by 2. Rated 5 out of 5 by WorldTraveller2014 from New favorite shirt and clothing brand. Heading to the warmer parts of Europe this summer and was looking for something stylish that would help me stay cool and could be worn during the day as well as out for dinner in the evening. I'm really impressed with how well this shirt looks, feels, keeps me cool, and doesn't smell! As a test, I wore this shirt for three days without washing and it was perfect. I get compliments on the shirt and people can't believe its wool! Absolutely amazing.